Order by 2PM today for same-day installation! **System installation and Visa® Reward Card provided by SafeStreets USA. See terms and conditions. Control your monitored home security system at home and remotely. Stay informed about what’s going on in your home, even when you aren’t there. Receive notifications of alarm signals whenever you are. See detailed records of security-related events at your home. Add on video cameras, remote lighting control, and remote door locks to your ADT Pulse® monitored security package to help make your home even safer. Turn Alexa into your personal security assistant. 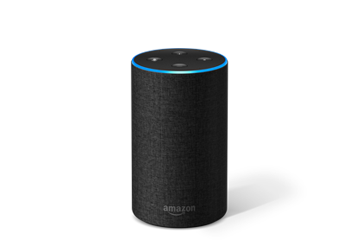 Here are a few ways you can use Alexa voice commands to control your ADT system. 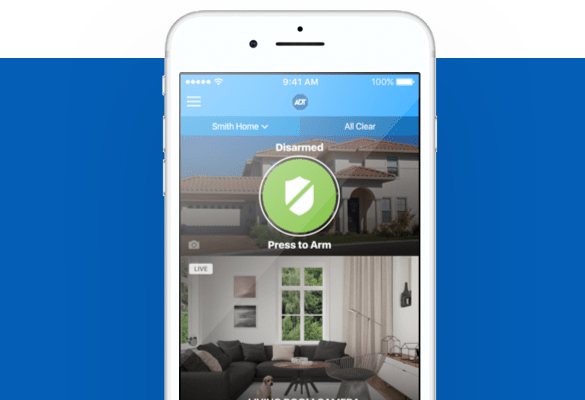 With ADT Pulse® and Amazon Alexa working together to keep families safe around the clock, ADT is making smart home security solutions smarter. Access your home security monitoring system from virtually anywhere. All you need is an internet connection and a mobile device to help arm your monitored security system, control your lights and even lock and unlock your doors. Disarm your system and unlock the front door remotely on the days when you want to get a load of groceries – or a load of kids – inside the house quickly. Can’t decide which ADT monitored security system is best for you and your family? Give us a call and a sales professional will help you get everything you need to help protect your home. Fill out the form below and SafeStreets USA, an ADT Authorized Dealer, will contact you about ADT Authorized Dealer offers. By clicking "Get a FREE Quote" above I consent to a call regarding our products and services from SafeStreets USA, an Authorized ADT Dealer, including on my wireless number if provided. I understand these calls may be generated using automated technology and my consent to a callback is not required to make a purchase. A monitoring professional will contact you within 24 hours to discuss your home security needs. There was a problem submitting your request. Please try again later, or give us a call and speak to a monitoring professional right now. Due to dialing restrictions in your area, we are unable to call you. Please call us to talk to an ADT Specialist. These exclusive offers are provided by participating ADT Authorized Dealers. Offers valid for new ADT Authorized Dealer customers and not on purchases from ADT LLC dba ADT Security Services. ADT Authorized Dealers are independent third party retailers authorized by ADT Security Services to sell its alarm monitoring services. All security equipment contained in this offer are sold and installed by ADT Authorized Dealers. Monitoring services are provided by ADT Security Services. *$99.00 Customer Installation Charge. 36-Month Monitoring Contract required at $36.99 per month ($1,331.64). Form of payment must be by credit card or electronic charge to your checking or savings account. Offer applies to homeowners only. Local permit fees may be required. Satisfactory credit history required. Certain restrictions may apply. Offer valid for new ADT Authorized Dealer customers only and not on purchases from ADT LLC. Other rate plans available. Cannot be combined with any other offer. ‡ADT Pulse Interactive Solutions Services, which help you manage your home environment and family lifestyle, requires the purchase and/or activation of an ADT alarm system with monitored burglary service and a compatible computer, cell phone or PDA with Internet and email access. These ADT Pulse Interactive Solutions Services do not cover the operation or maintenance of any household equipment/systems that are connected to the ADT Pulse Interactive Solutions Services/Equipment. All ADT Pulse Interactive Solutions Services are not available with the various levels of ADT Pulse Interactive Solutions Services. All ADT Pulse Interactive Solutions Services may not be available in all geographic areas. You may be required to pay additional charges to purchase equipment required to utilize the ADT Pulse Interactive Solutions Services features you desire. Installation starts at $199. Burglary, Fire, Carbon Monoxide and Medical Alert monitoring requires purchase and/or activation of an ADT security system with monitored Burglary, Fire, Carbon Monoxide and Medical Alert devices. Fire, Carbon Monoxide and Medical Alert services are an additional charge. Quality Service Plan (QSP) is ADT’s Extended Limited Warranty. 36-month monitoring contract required from $49.99 per month, ($1,799.64), including Quality Service Plan (QSP). Additional charges may apply in areas that require guard response service for municipal alarm verification. Prices subject to change. Prices may vary by market. Some insurance companies offer discounts on Homeowner's Insurance. Please consult your insurance company. Local permit fees may be required. Satisfactory credit history required. Additional monitoring fees required for some services. Photos are for illustrative purposes only and may not reflect the exact product/service actually provided. **The Visa® Reward Card is issued by MB Financial Bank, N.A., Member FDIC, pursuant to a license from Visa U.S.A. Inc. The Visa® Reward Card is provided by SafeStreets USA and is not sponsored by ADT Security Systems. Limit one Visa® Reward Card and system per household. 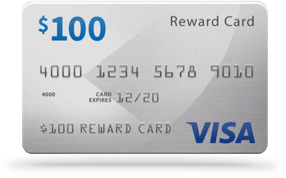 To be eligible for the Visa® Reward Card you must be a new SafeStreets USA customer, have signed a 36 month monitoring agreement and complied with the redemption instructions.